It's Official! 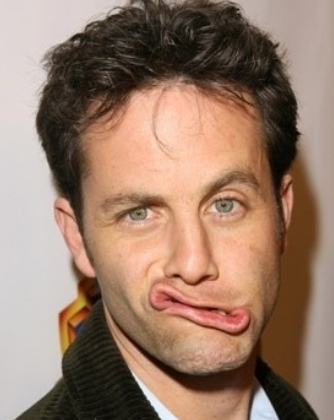 Kirk Cameron Is America's #1 Bottom! Home/Entertainment/It’s Official! Kirk Cameron Is America’s #1 Bottom! Exen after begging every KKK-ristian he could to pump up the horrible ratings of his new movie Saving Christmas. 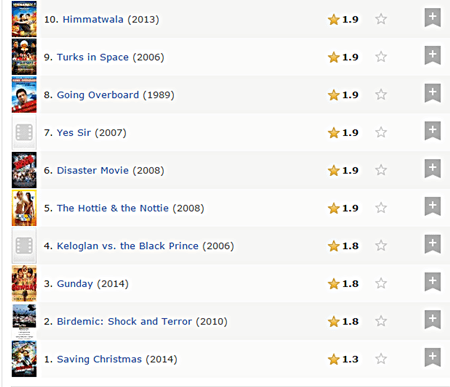 America has spoken and Saving Christmas is now the worst-rated movie in the history of IMDB, beating out such cinematic classics as Monster a-Go Go, The Tony Blair Witch Project, Mariah Carey’s Glitter, and Santa with Muscles. Can’t wait for Mystery Theatre 3000 to get a hold of this. If you really want a good laugh check out the reviews at RottenTomatoes.com – PURE COMEDY GOLD! I don’t like that your ‘bottom’ reference to Kirk Cameron movie has to be homophobic. You make it seem that a ‘bottom’ is something to be ashamed of. We deal with this sort of negatives every day in ‘straight’ media, why must we use these derogatory homophobic comments from our ‘queer’ media. Tolerance starts with ourselves. Actually “bottom” was meant as “at the bottom of the list” and also there have been many rumors about Kirk s true sexuality.